We obviously can’t get enough of him, the Pittsburg bred rapper has found his way back on to our radar. If you think you have had enough, just stop. There’s definitely more to know about him, for instance we have never brushed the topic of Wiz Khalifa’s son or his relationship with his mom. Now that we have your attention, let’s dive in. There is no doubt that despite their past personal differences, Wiz and Amber Rose are doting parents. Their son, Sebastian Taylor Thomaz, was born on February 21, 2013, a few months before they announced that they had tied the knot. Unlike some other Hollywood parents, the couple are not keen on keeping Sebastian out of the limelight. The little tyke recently appeared in his daddy’s new music video for the track “Zoney”, off of his latest album. 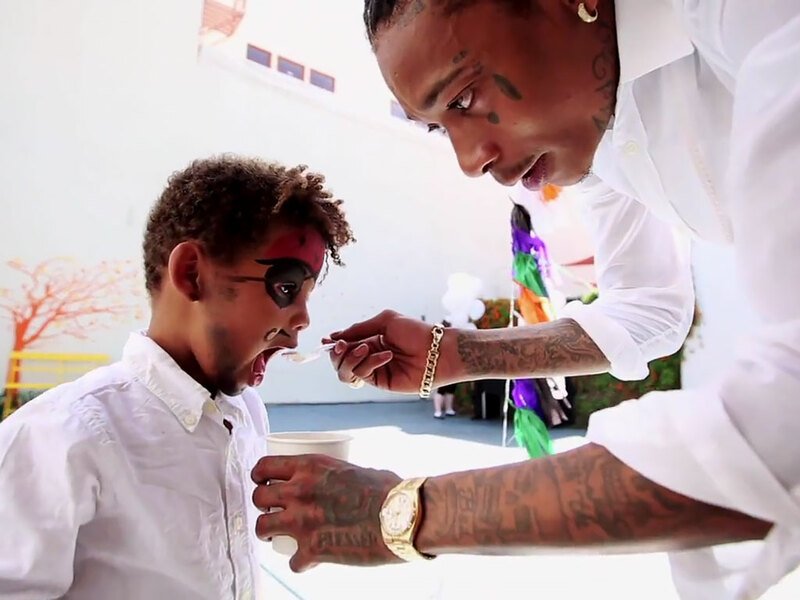 It featured Wiz and his three-year old having the cutest father-son moments we have seen in a while. Those of you that follow the rap artist faithfully would know that this was not the first time Wiz Khalifa’s son had a chance to shine in the limelight. He often joins his dad on stage. Wiz is not alone in this, his ex-wife Amber Rose has also contributed to making little Sebastian a mini celebrity. Amber took to Instagram, posting a video of her 3-year old son giving his opinion of her Marilyn Munroe inspired bob. In the words of the famous toddler, ‘You look like a monster’. Amber later weighed in, explaining that he loves monsters- good save Mama Bear. Also when little Sebastian broke his arm at a pool party. We spotted the information in an Instagram post captioned, ‘Bash broke [his] arm but he’s taking it like a champion’. Who posted it? His Mama. Needless to say, we don’t mind having to see Wiz Khalifa’s son as often as we do, he’s such a delight. We all followed the whirlwind romance between Wiz and Amber Rose and were devastated when it ended, it was almost impossible not to be. The couple did not mind showing off their love as often as they could and it was quite admirable. It all started in 2011, after weeks of rumors flying around, sometime in January Amber Rose confirmed everyone’s suspicions. She took to twitter and posted ‘I need my baby. I’m so in LOVE I don’t care what anyone says that’s my baby I found happiness my heart is with Cam’. For those of you confused about the ‘Cam’ there, Wiz Khalifa is obviously a stage name, the artist was born Cameron Jibril Thomaz, there’s a whole story behind the stage name. The marriage was short lived, as the couple got a divorce a year after their nuptials. Anyone thinking that the couple did not have much in common is quite mistaken. They pair are both from Pennsylvania and were raised by parents in the military, although Wiz’s story is somewhat a fairy tale compared to Amber Rose’s. She was born Amber Levonchuck, on October 21, 1983 and in case you were wondering where the Rose came from? Well, Amber’s mother’s name is Dorothy Rose. Amber’s life took a twist for the worse, when at the age of 15, she had to start stripping, under the pseudonym ‘Paris’ to provide for her family after the divorce of her parents. 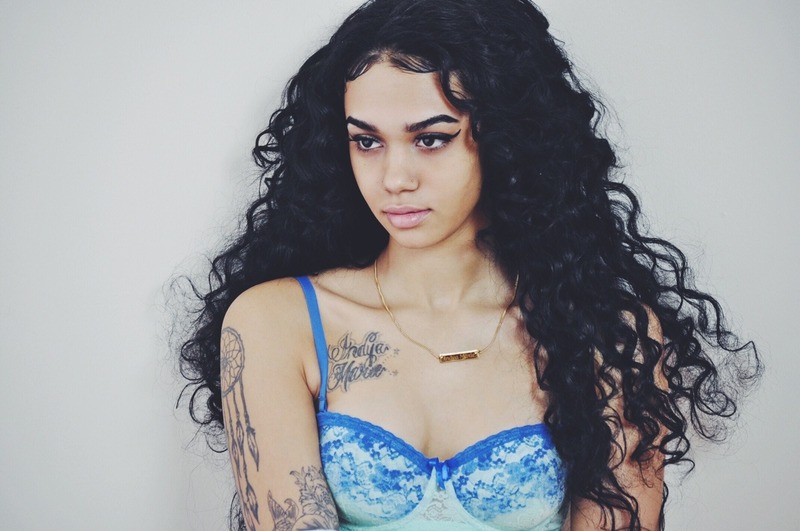 She was soon elevated to video vixen status and it was there that she caught Kanye West’s eye. Her modelling career began when she posed for a Louis Vuitton print advert, wearing a piece from Kanye’s sneaker line. She has since moved on to better things, as a mother, an accomplished business woman and more recently she is competing in the 23rd season of the popular show, Dancing With The Stars. They do not get talked about often or at all, so it is okay if you assumed that Wiz Khalifa had no siblings. He has two brothers, Jude and Terrell, also he has a sister called Vanessa. They must be very private people, because apart from their names, there is no information on them whatsoever. Although, when the words ‘Wiz Khalifa’ and ‘sister’ are used in the same sentence, it’s a reference to that one time Amber Rose walked in on him doing the nasty with twin sisters. That is definitely a story for another day. 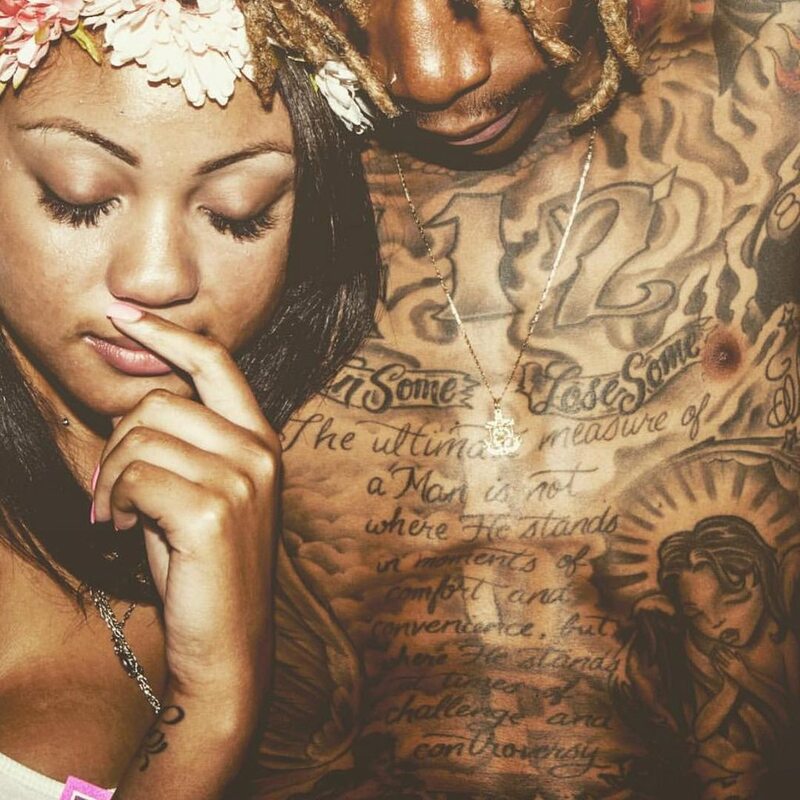 After Amber Rose was out of the picture, Wiz wasted no time getting back into the game. Immediately after his marriage ended in 2014, the rap artist was in a heated relationship with Deelishis, whose actual name is Chandra Davis. She is popularly known as a reality TV personality. By 2015, he had moved on to the next one. He briefly dated Yoshii, and that, folks, sums up everything we know about her. That same year, Wiz was rumored to be dating Rita Ora, till date we do not know if that happened, but he then went on to date Indya Marie and in case you were wondering, it still went down in 2015. Presently he is involved with Raven Felix, a musical artist. The relationship also started in 2015. That must have been a very interesting year for the artist. No doubt the artist is a full blown ‘Momma’s boy’, she is his number 1 lady and they share a relationship that most would consider weird, but it is actually quite touching. Formerly married to Laurence Thomaz, she says knew best when she relocated her military family to Pittsburgh to plant roots for her children in 1996. She supports Wiz in everything he does and when we say everything we are not kidding. She has been his cheerleader from the onset also his enabler. Yes, she admits that she might be the reason the artist is so hooked on marijuana, since they would ‘roll up’ every morning before he went to school. Despite her different take on parenting, she raised an achiever and as a result, on May 6,2016 she was honored as a mother who had made a significant contribution to the Pittsburg community, alongside Eden Hall Foundation Executive Director, Sylvia Fields and University of Pittsburgh Senior Vice Chancellor and Chief of Staff, Kathy Humphrey. As we end this, we choose to leave you with some Peachie Wimbush wisdom, extracted from her interview with Whirl magazine. She advised, ‘When you have little ones, encourage their dreams. Because when you do, sometimes the dreams you didn’t even know you had come true. I was really just my son’s cheerleader, and I would tell him he could do anything he wanted to’.